The government of Papua New Guinea is under heavy criticism over its controversial move of importing 40 luxury Maserati cars from Italy to be used for the upcoming Asia-Pacific Economic Cooperation (APEC) summit. Those opposing the government’s decision believe that the poor country should have no room for such an unnecessary expense and show of extravagance the people can't afford. Papua New Guinea happens to be one of the poorest countries in APEC, with 40% of the population living on less than $1 a day according to the UN. The Quattroporte sedans cost more than $100,000 each. The high-end vehicles will be used by foreign leaders participating in the summit. Media and activists in Papua New Guinea have questioned if the economically-challenged Pacific country has wasted millions of precious money for the said vehicles. The government tried to defend its move and said the private sector has “committed” to shouldering the costs. The said cars can reach speeds of 240 km/h or 149 mph. Tkatchenko admitted that “some money” had been spent already by the government as a “deposit to get everything here.” Still, he tried to convince everyone that the cars were “selling like hotcakes” anyway and would probably not end up as a government burden, or as a wasted expense. The APEC Minister, however, refused to reveal how much the government has spent already on the fleet of vehicles. He also declined to say who is buying the cars after they’ve been used at the summit. Road infrastructure in Papua New Guinea is glaringly poor with the main roads not well-maintained, with vehicle speeds limited to 80 km/h (50 mph). Other roads there wind through mountainous terrain, that is why a four-wheel-drive vehicle is often required to navigate the challenging roads. 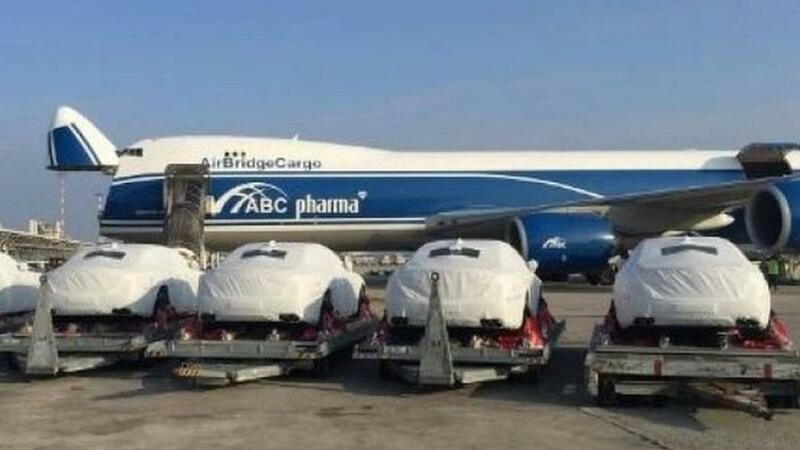 Photos of the lavish cars arriving at Port Moresby airport on chartered cargo planes were shared on social media. Many have expressed concerns that taxpayer money being recklessly spent. Keith Jackson, a blogger on Papua New Guinea issues, is far from satisfied with the government’s reasons - or excuses. He told foreign media that those lavish cars were part of leaders’ efforts to project an image of “sophistication” ahead of the summit, including scrambling to make the country look more pleasant to the eyes of the visiting world leaders. Just this June, the government declared a national public health emergency after an outbreak of polio. Vice President Mike Pence is set to represent the US for the summit. Foreign leaders my asz, foreign extortionists is more like it.